It’s here. 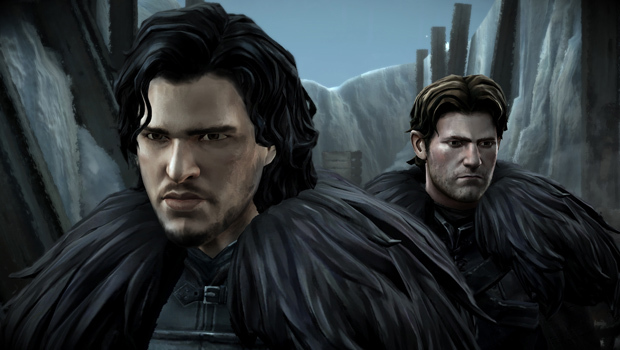 Episode Two of Telltale’s Game of Thrones, “The Lost Lords”, is here to continue the story. Given that Telltale’s Game of Thrones series is split into six parts I knew that the story would be delivered piece by piece. 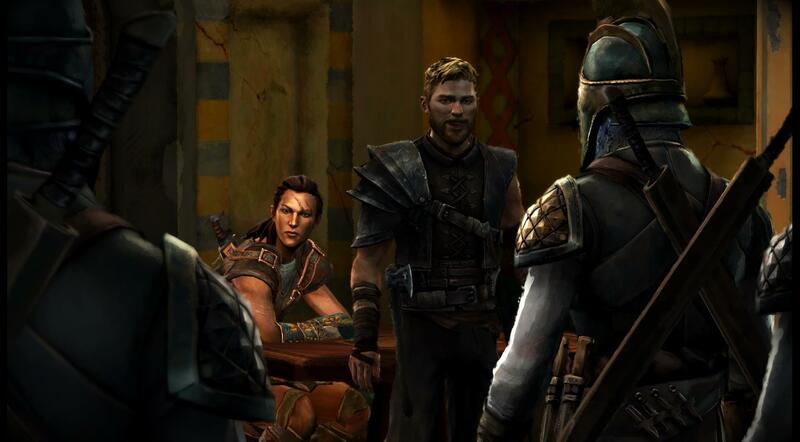 As you would expect Episode 2 “The Lost Lords” carries on where Episode 1 “Iron From Ice” left off. The question in this case is does Episode 2 continue to the same high level as its predecessor? Does it give us that Game of Thrones feel; that sense of unease as though, quite literally, anything can happen and nobody is safe? 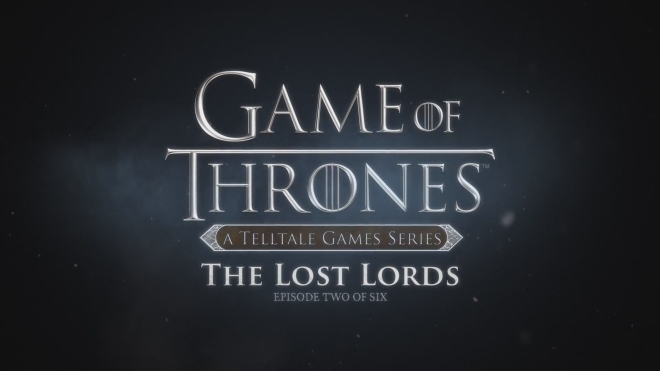 The good news is that “The Lost Lords” does deliver, and once again reaffirms my belief that Telltale really do know what they are doing when it comes to these episodic adventures. It broods and it simmers, and just when you think you know which direction the story is taking you it pulls a knife on you when you least expect it. It is, for all intents and purposes, Game of Thrones. The start of Episode 2 does give you a quick recap of the events from Episode 1, like you need reminding. Then it’s once again quickly into the action, giving the player a good mixture of dialogue and action. I’m not usually a big fan of quicktime events, but it suits its purpose here by giving you the opportunity to partake in a fight or three. If you die (Valar Morghulis) you get the chance to have another go at sticking your sword through someone’s neck or burying a hatchet into their face instead. Like I said, it is Game of Thrones. “The Lost Lords” introduces some new characters into the plot, as you might expect if you watch the TV series. We also get to see some more of the GoT world, this time visiting The Wall as well as the lands across The Narrow Sea. It also once again cleverly weaves its way in and out George RR Martin’s story, giving us the chance to meet and interact with the characters we have come to know and love so much. Whilst the story shines I did, at times, feel that the graphics let the side down. I really like the artistic feel, with it looking like a moving oil painting. However there are moments when it looks too clunky. I would have thought that by now, on a PS4, that a game like this would provide a more seamless experience. And it really is a shame, simply because there are times when the issue wrenches you from the immersive plot. That aside though and on the whole Episode 2 is pretty much on par with “Iron From Ice”. The whole time I felt a sense of unease playing it, like I could trust no-one. The writers should be applauded for how they have captured the essence of Game of Thrones. “The Lost Lords” gives what every chapter 2 should; a solid continuation of the storyline and an unscratchable itch to see Chapter 3. – It’s Game of Thrones again. – Artistic style is still great. – I need to see the next part.